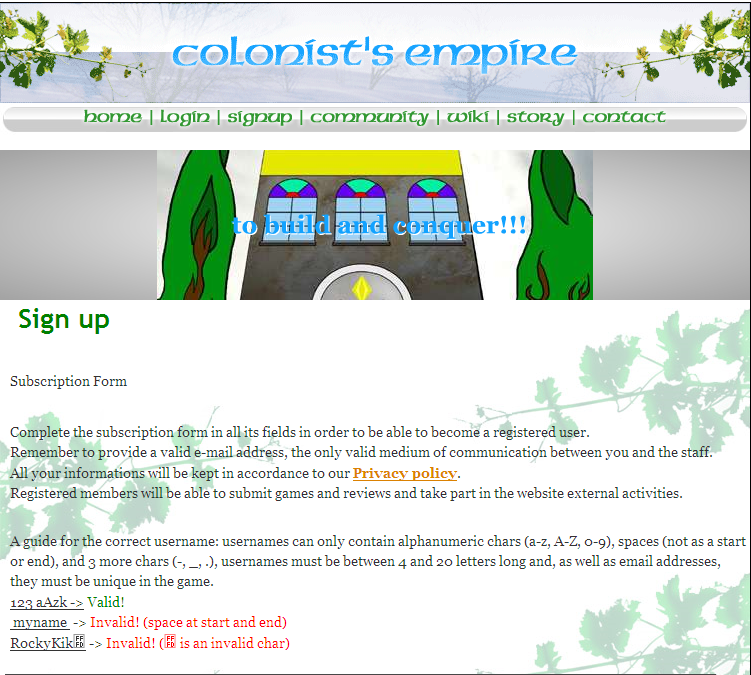 Colonist's Empire is a real time strategy browser based game, no download needed. You start your Adventure with a colony which you have to improve with buildings, researches and magics. Pretty soon you will feel the need to explore, to find ways to expand your Empire, and the solution is only one: Colonization! Be careful, your opponents will want to do the same, and your colonies won't be secure anymore. 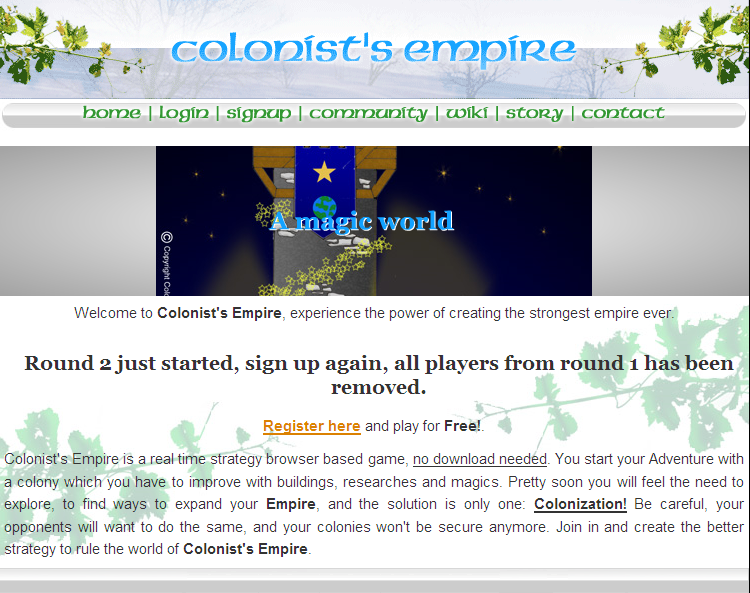 Join in and create the better strategy to rule the world of Colonist's Empire.